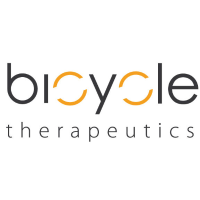 UK biotech Bicycle Therapeutics has raised £40 million ($52m) in a new funding round to help it progress its pipeline, including its lead compound, a first-in-class cancer treatment. The company is developing a new class of drugs based on its proprietary ‘Bicycle’ bicyclic peptide product platform, which aims to combine the best qualities of several therapeutic entities in a single modality. These are designed to have the affinity and selective pharmacology of antibodies, the distribution kinetics of small molecules, (allowing rapid tumour penetration) and the “tuneable” pharmacokinetic half-life and renal clearance of peptides. The £40million will be spent on developing its pipeline, starting with BT1718, the first example of the company’s Bicycle Drug Conjugate (BDC) technology. This allows toxin payloads to be targeted to tumours, and minimising systemic toxin exposure through renal clearance. BT1718 targets Membrane Type 1 Matrix Metalloproteinase (MT1-MTP), which is highly expressed in many solid tumours, including triple negative breast cancer and non-small cell lung cancer. It is expected to enter phase 1 trials later this year, via a partnership with Cancer Research UK (CRUK). The Series B will also fund additional pipeline programmes through early clinical development, the first of which will be selected in the second half of 2017. Established investor Vertex Ventures HC led the financing round, but the biotech also attracted new investors Cambridge Innovation Capital (CIC) and Longwood Fund. Bicycle’s existing investors – Novartis Venture Fund, SROne, SVLS and Atlas Venture also took part. As part of this financing, the company also announced Dr. Christopher Shen, M.D., Managing Director at Vertex Ventures, and Dr. Michael Anstey, D.Phil., Investment Director at CIC, will join its board. Bicycle Therapeutics is seen as one of the UK’s most promising early-stage biotechs, and has a base in Cambridge, UK, as well as the world-leading hotspot of Cambridge, Massachusetts. 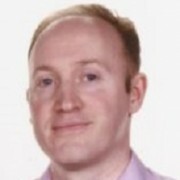 The company was founded by Sir Gregory Winter and Professor Christian Heinis and is a spin-off of their work at the MRC Laboratory of Molecular Biology in Cambridge. 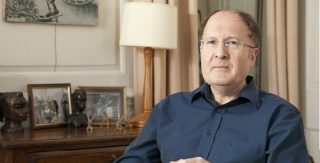 Sir Greg is one of the biggest names in European biotech, having set up Cambridge Antibody Technology in 1989, the company which subsequently discovered Humira, currently the biggest selling drug in the world. In January this year Bicycle Therapeutics bolstered its drug development brainpower by recruiting Nicholas Keen to be its chief scientific officer, poaching him from his role as head of Novartis’ oncology research in Cambridge, Massachusetts. Dr. Kevin Lee, Ph.D., chief executive of Bicycle Therapeutics welcomed the financing round, saying it was another important validation of its approach. The financing follows a major deal struck with AstraZeneca in December, with the UK big pharma company signing a drug development deal worth up to $1 billion.